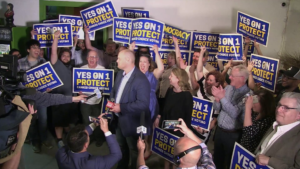 A Massachusetts activist and filmmaker was inspired to document the movement. 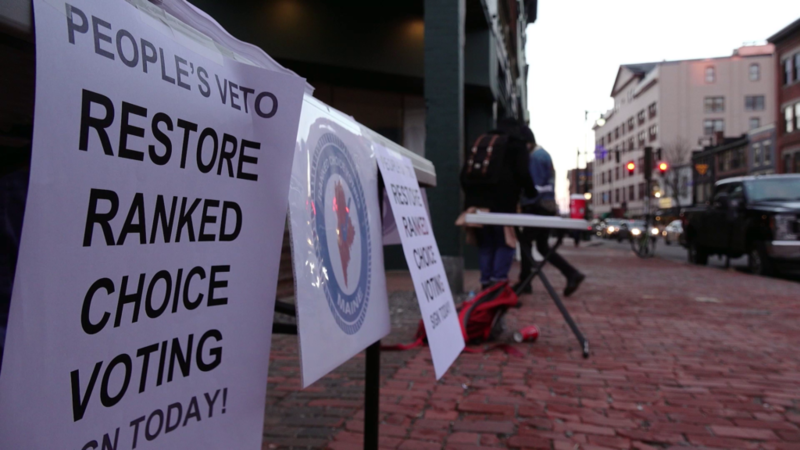 Tables with petitions to get the “people’s veto” to prevent overturning ranked-choice voting on the ballot in Maine. Monday: “Cielo.” You think you know the night sky, city-dweller? Well come feast your peepers on this visually stunning documentary about the view available only above Chile’s Atacame Desert, one of the least light-polluted places on Earth. Coincidentally, an Earth Day presentation. 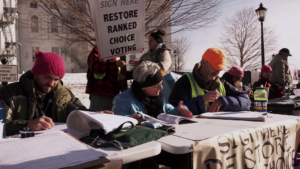 To learn more about “The Battle for Ranked Choice Voting” (and ranked-choice voting), check out the film’s webpage at http://rcvfilm.com/. Monday: “Cielo.” You think you know the night sky, city-dweller? Well, come feast your peepers on this visually stunning documentary about the view available only above Chile’s Atacame Desert, one of the least light-polluted places on Earth. Coincidentally, an Earth Day presentation.